LED modules for initial assembly or for the expansion of existing lights of daytime matrix series. The installation of the modules is quickly done and absolutely uncomplicated. A module has a power consumption of 10 watts. 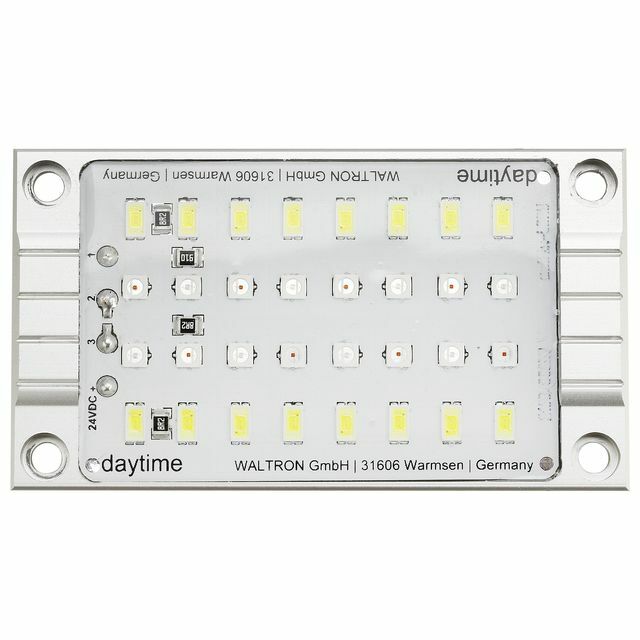 Note the maximum number of modules, which can be mounted in each LED profile. These modules have to be necessarily installed in a suitable matrix LED-profile by daytime to be operated. Protective discs are available optionally.